Jharsuguda city church is the happening place where impossible becomes possible – a caring family, a warm fellowship of committed disciples, joyful in expression, exuberant in worship. 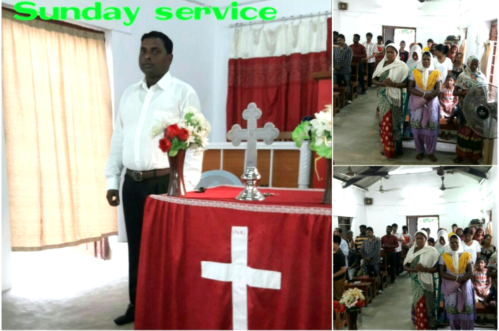 We are conducting of a Sunday prayer service at Jharsuguda city church where our city church believers are growing in the Lord in their day-to-day life. This local church is being located at the middle place of our Mission fields, from there we have started outreach programs and church planting ministry. 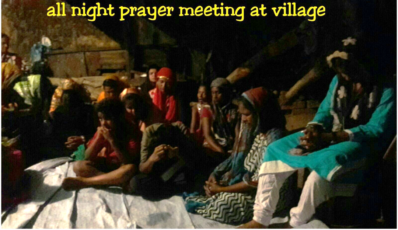 The church has been reaching to the thousands with the Gospel and building the prayer cell groups at every village of our Mission State area. Our State’s Christian percentage group is less than 5% only and we have yet to spread the good news of our Lord Jesus Christ to the people of North Odisha. We are serving the Lord amongst Hinduism and idol- worship groups. We are working hard for the Gospel ministry and our church members also are involved and have played a crucial role to achieve our goal. Jesus said, watch and pray – prayers are the key point of our spiritual life and ministerial life, without prayers and fasting we can’t do any ministry here, because we are doing ministry against idols worship and Hindu nationalism. Our unity of prayers will break the satanic chains, hindrance, and demonic operations. For that purpose we are coming together at a one place to pray for the great victory over enemies. Please pray for our North Odisha believers and for their spiritual life.